Nine veterans and three veterans’ family members have completed a specialised training program in Canberra aimed at reskilling veterans and providing employment opportunities following their service in the Australian Defence Force. The pilot for the program was launched by Veteran’s Affairs Minister Dan Tehan in October 2016 and was conducted by ServiceNow together with Soldier On, Accenture and DXC. 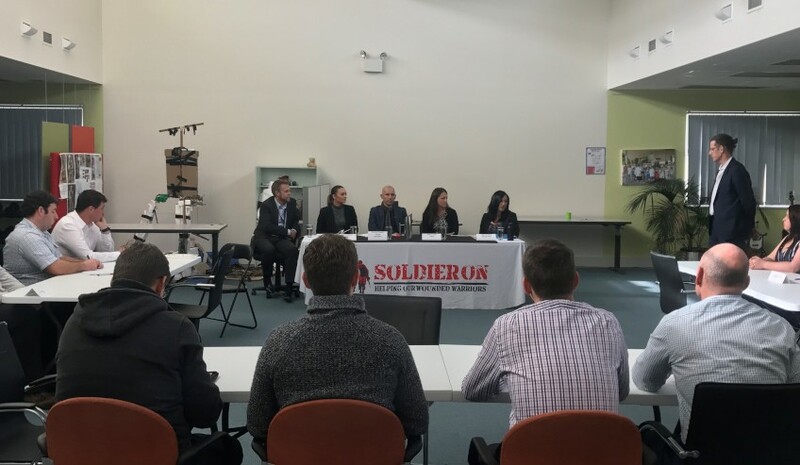 Soldier On and ServiceNow met that call and through this program are now producing graduates that can operate and administer ServiceNow IT and cloud computing platforms across a range of government departments and private sector industries. Cathy, a defence spouse who has recently returned to Australia following several years accompanying her posted husband, is now looking to re-enter the workforce using her training from ServiceNow. “Employers I’ve spoken to at the course are actively looking to fill a number of positions requiring a skill and qualification in ServiceNow platforms," said Cathy. Tony, an Air Force veteran with over 20 years’ service will soon transition from Defence and is also looking at new job opportunities using his qualification. “I’m looking to get a start in IT – this course has provided the entry level IT skills that I need for that," Tony said. “Listening to what employers are looking for and discussing my options with them has put me on the path to a new career." Another veteran, Dave, has recently returned from an overseas deployment and is looking for a ‘change of pace’ while using his experience from his years in the ADF. “The skills I’ve acquired at this course complement my prior Defence experience well," said Dave. “I know that I’ll be able to put the skills I’ve learned at this course to use the moment I start work." David Oakley, managing director of ServiceNow says that the success of the pilot program demonstrates the ability of the veteran community to up-skill and to contribute as part of the technology industry. “The decision to continue the program after the pilot was an easy one – the qualifications they have acquired, coupled with their existing skills from their Defence service makes this program a perfect fit for a growing industry,” said Oakley. The next training program based in Sydney is scheduled to begin in August.